Bay Collection – Style, luxury, and performance. What else do you need? @Home Collection – Affordable style, quality, and performance for everyone. Our Installations – Checkout our installation gallery! 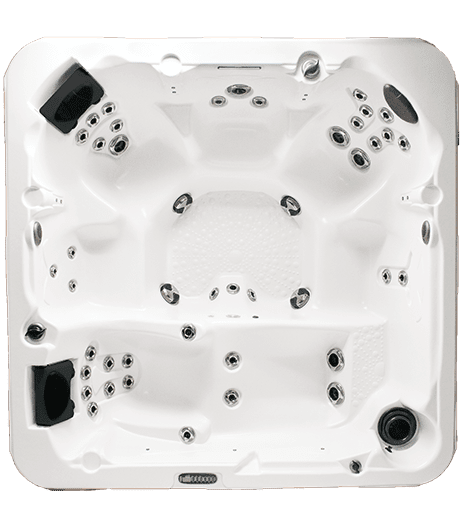 Service & Maintenance – Worry-free spa ownership! Silk Balance – Advanced water conditioning for your spa. Spa Accessories – Everything to maintain or enhance your spa. 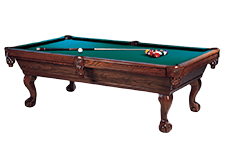 Pool Tables – Checkout our Connelly Billards tables. Connelly has been building high quality tables for more than 60 years! 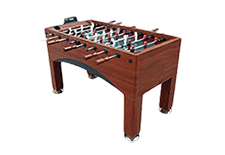 Gaming Tables – We offer high-quality Air Hockey, Foosball, and Ping Pong tables. Our gaming tables are made to last! 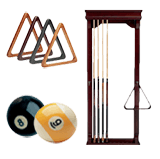 Pool Table & Gaming Table Accessories – We offer a wide variety of accessories to make your gaming experience and your game room complete. Diamond Blue Pool and Spa deals exclusively in award winning Dimension One Spas. From style and design to Hydronomics™, the Dimension One Spa product line represents the ultimate in performance, quality and energy efficiency. 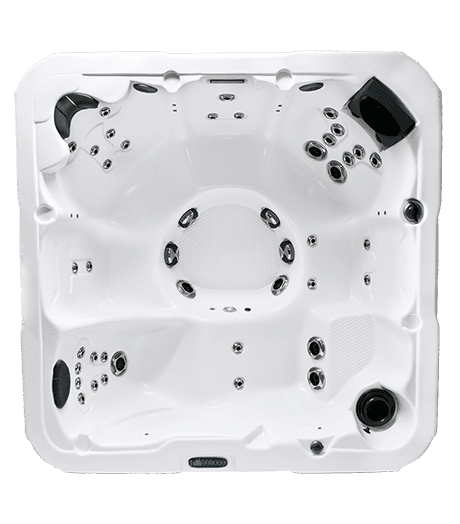 State of the art water management systems, operating efficiency, reliability, ergonomic appeal, and ease of use are just a few of the aspects you will come to appreciate about a Dimension One Spa. If you’re looking for the best in hydrotherapy Diamond Blue can deliver! The Sojourn delivers the ultimate in comfort and performance. Stay awhile and enjoy its 42 jets and countless massage variations. 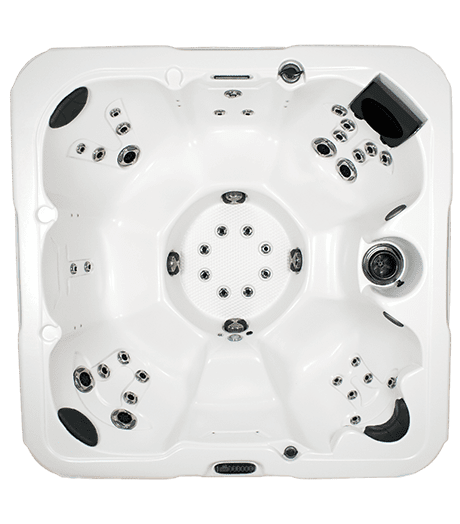 Whether relaxing alone in this 4-corner seating spa, entertaining friends or spending time with family, the Sojourn will ensure a fun and relaxing environment for everyone. The versatile Wayfarer allows for a customized hydrotherapy experience, no matter what seat you wander into. Enjoy a deep, powerful therapy massage “for him” with patented Jet Therapy pillow and “for her,” there’s the not-so-deep therapy seat with shoulder top jets that offer a more subtle massage. The Wayfarer is the perfect place to unwind for up to 6 people. 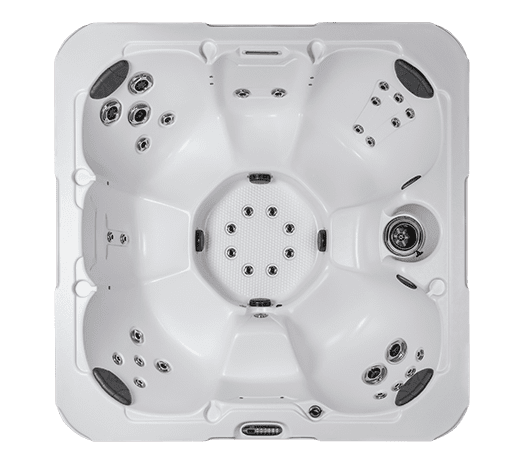 The Meridian boasts the best performance in its class with healing hydrotherapy jets and a powerful whirlpool jet. It’s backyard entertaining at its finest! As the companion model for Meridian, the Latitude is a lounger refined with ultimate comfort in mind. Sit back and relax in the UltraLounge therapy seat, and let your mind unwind to the sounds of the backlit cascade waterfall and optional audio system for the perfect after-party escape. Inside this cozy spa lies a powerful hydrotherapy machine. 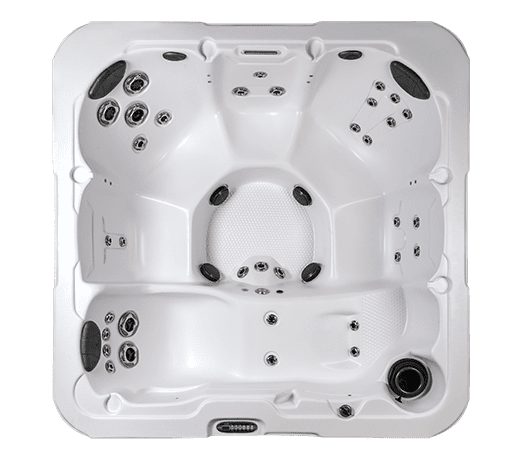 It comfortably seats three and features semi-contoured, multi-level seating next to the head-to-toe therapy of the UltraLounge™ complete with a patented Jet Therapy pillow to target aching shoulder muscles. Let the Serenade lull you into a state of peace every evening. The Breeze™ offers comfortable open seating for up to seven adults, with barrier-free, multi-level seating and foot jets in a dome-free footwell to make it easy to communicate and move around. 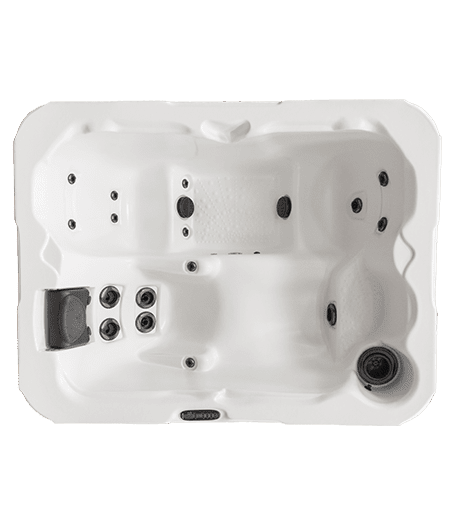 With tactile therapy in footwell and a six-inch adjustable waterfall placed at the top of a jetted seat, this model delivers soothing relief from your neck to your feet. Step into a Dream and experience the ultimate in relaxation for up to six people with 34 massage jets, a beautiful and adjustable waterfall, an ultra-comfortable High-Performance Lounge and tactile therapy in the foot well. Your body will thank you after every soak. 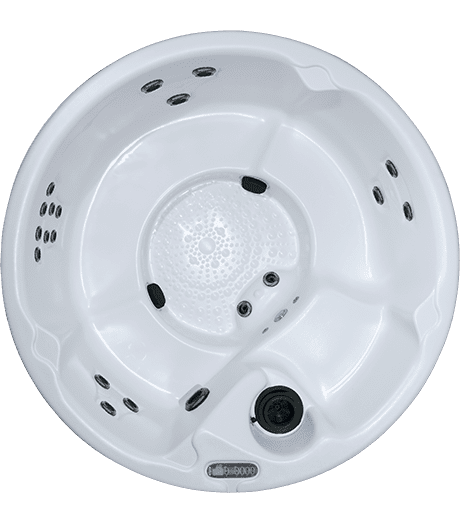 As one of our best-sellers, the Journey has been seen on countless TV shows as the “hangout tub”. Entertain up to 4 guests in this barrier-free barrel-style tub. 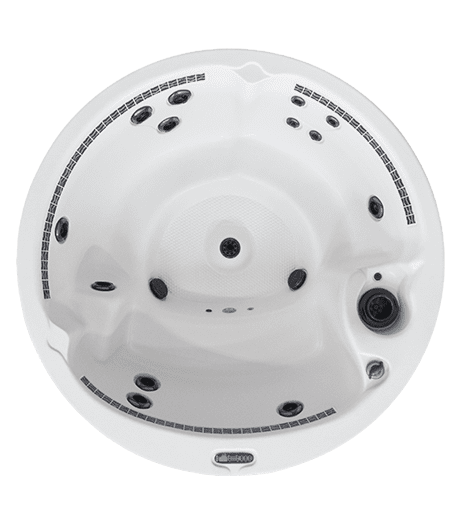 Enjoy powerful hydrotherapy with 20 jets and whirlpool diverter jet as well as clean, clear water 24/7 with D1’s patented ClearZone PRO. 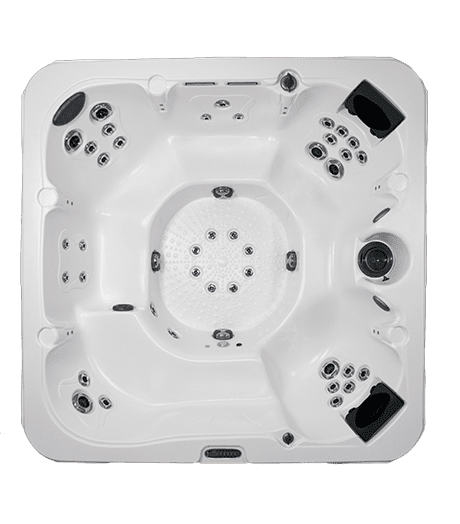 Reminiscent of the original, barrel-style hot tubs, the Arena awakens a youthful nostalgia of fun days in the sun. Entertain up to seven guests in this classic barrier-free seating design, featuring glass tile accents, spacious foot well, and an authentic Typhoon jet. Interested in a Hot Tub, Pool Table, need service, or just have a question? Copyright © 1996-2015 Diamond Blue Pool and Spa. All rights reserved.